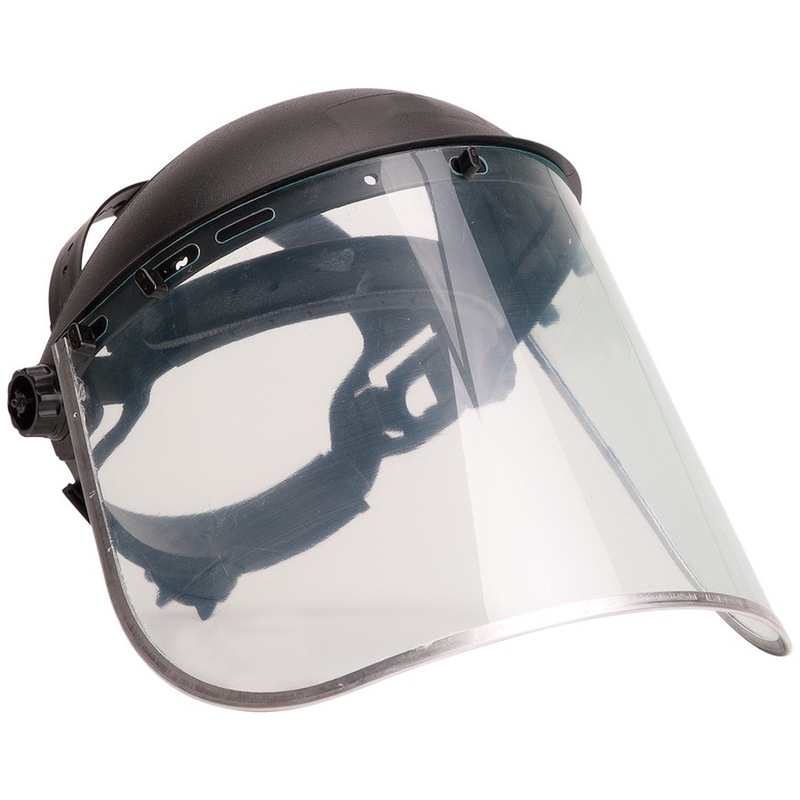 The PW96 This face shield protects against molten metal splashes and hot solid projections. Superior front and side face protection. Ratchet adjustment for comfort fit. Replacement visor available (PW99).